« Older: 2018 Copa San Pedro playoffs begin! Newer: » San Pedro’s First-ever MMA Tournament is a knockout! During the tenth week of the 2018-2019 season of the Premiere League of Belize (PLB), the San Pedro Pirates finally managed to claim a home victory against Altitude Assassins on Saturday, October 20th. The island boys delivered a rousing 6-1 victory at the Ambergris Stadium. In a dominant display, the San Pedro Pirates netted their first goal mere minutes into the match, courtesy of Jesse Smith. After solid crosses and passes no other goal was in sight, with the first half coming to an end with Pirates leading 1-0. After the break, the San Pedro Pirates came back aggressively, with Edwardo Chavira scoring a second goal five minutes into the second-half. A few minutes later, Altitude’s Rollin Burgess came clean with a goal. Not to be overcome, Pirates’ Chavira nailed another goal at minute 53. In a dazzling display of athleticism, Chavira completed a hat trick at minute 66. Down by three goals, Altitude Assassins made many attempts to score, but all were unsuccessful. At minute 70, San Pedro Pirates, Louis Valdez managed to net another goal, extending the lead even further. Wanting to seal the deal, Pirates’ Pablo Mendizabal landed one more goal before the long whistle blew. The Pirates celebrated their first home victory of the season with a resounding 6-1 final. 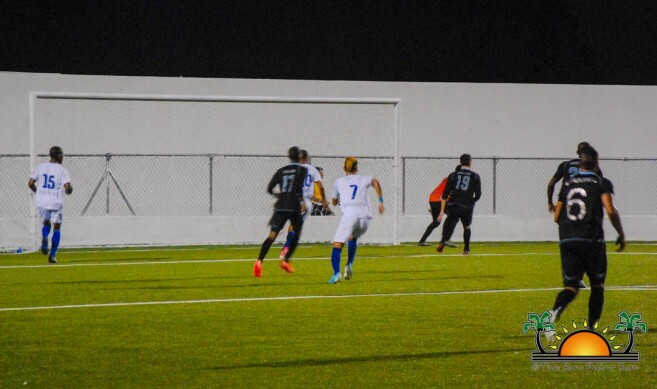 Other matches taking place during the weekend saw Belmopan Bandits defeating Wagiya F.C 4-1, Verdes F.C winning 2-1 against Belize Defense Force and Police United F.C and Freedom Fighters ending in a 2-2 draw. 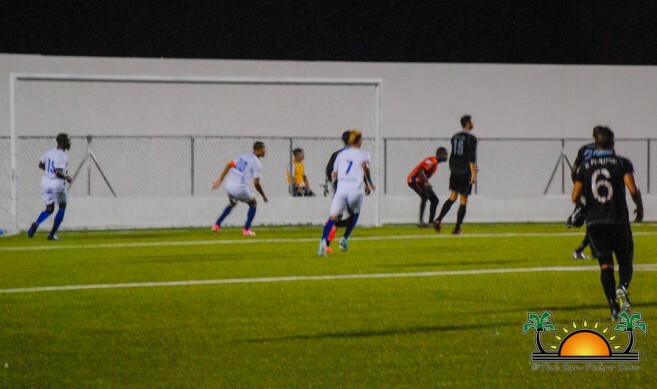 The current standings of the PLB have Belmopan Bandits at the top with 26 points, followed by Verdes F.C with 24 points, and San Pedro Pirates and Police United F.C with 13 points each. Following the top three is Altitude Assassins F.C and Wagiya F.C with 12 points each. At the bottom of the chart is Belize Defense Force and Freedom Fighters with seven points each. For their next match, the San Pedro Pirates will be travelling to Belize City to go against Belize Defense Force on Sunday, October 28th. The match is scheduled to start at 4PM at the MCC Grounds. For more information on how to accompany the Pirates as a fan, you can contact 623-0772.